Ask The Readers – What TV Tuners Are You Using? What HTPC Software do you use? Optional – which TV Tuners that you’ve used are your favorite versus least favorite. Not nearly as good of price as the 47” we say yesterday before it sold out, but we do have another decent LCD HDTV Deal – this one at Newegg. The same TV sells for $821 at Amazon and suggested retail price is $1099.99. Even though the release of the 4-CableCard Tuner by Ceton continues to be delayed, I know of several bloggers who have installed and are testing the Ceton Quad Tuner right now so it can’t be too far from shipping. So while you wait CannonPC has made a video with complete instructions on how to install the Ceton InfiniTV 4 Quad Digital TV Tuner for Windows 7 Media Center. The Ceton InfiniTV 4 tuner allows you to record up to 4 HD Digital Cable TV channels at one time! We're hoping to start shipping units on a first/ordered/first shipped basis in the next few weeks. If you'd like to be notified when they start shipping, you can sign up for the Ceton newsletter at http://www.cetoncorp.com/company_about.php. Definitely a bummer on the continued delays, but I have a feeling it will be worth the way for you Media Center fans. Stay tuned for more info. We’ll call this part 2 of the GeekTonic Deal of the Day. Not a bad LCD TV set for a very good price. The Harmony 900 is one of those remotes that are very popular, but not as many folks have one due to the high cost. Today Amazon dropped the price from the $399.99 list price down to $249.99 plus free super saver shipping. If you want one, don’t wait long as this is very low for this remote control. I still haven’t finished my very belated write-up with my thoughts and opinion on GoogleTV. But I’m interested in your thoughts – do you think GoogleTV is the “wave of the future” or a feeble attempt by Google to push search into TV? Also, in case you missed it - Read this take on GoogleTV by a favorite SageTV, 3rd party developer of mine. 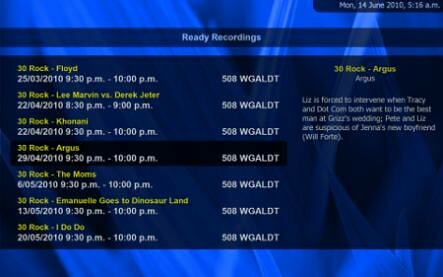 SageTV dropped an incremental update to it’s SageTV 7 HTPC software. Mostly bug fixes with a few low profile feature additions thrown in. While watching AT&T and Apple iPhone preorder servers screech to a halt today, Apple took the opportunity to roll out an updated Mac Mini with HDMI, SD Card reader and a shiny aluminum body. The Mac Mini still looks pretty and now includes the HDMI port it always should have had along with an SD card reader. So it looks like a very nice option for an HTPC extender doesn’t it? Well not so fast, while the specs are nice and it would seem to work as a great addition to your Mac-powered HTPC, it also has a few downers too. The SD slot is on the rear of the Mac Mini – seems like it would be much easier to access if they had put it on the side or front. Price: $999 for the 2.66GHz & Dual 500GB or $699 for the 2.4GHz 320GB. That’s not a terrible price, but it’s still very high-end especially if you plan to use this as an HTPC extender. I’d much rather use a low powered hardware extender for this situation. What do you think? Does this look like the perfect HTPC solution for your needs? Or are you waiting for the rumored to be coming, new Apple TV? 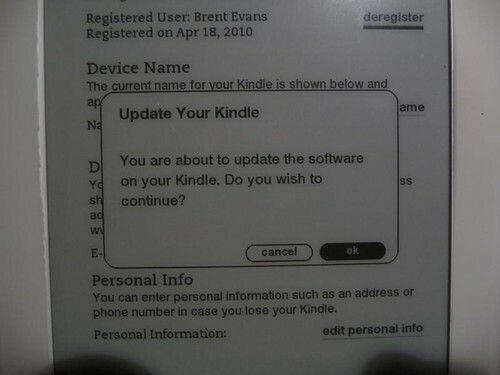 Well the Kindle 2.5 firmware update announced over a month ago is now available for all. It will eventually auto-download to your Kindle while it’s wireless is turned on, but if you’re impatient like I am you can download it and install it manually using the USB cable. 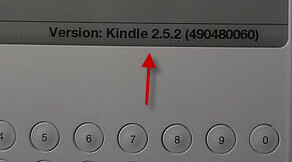 So after a quick download, transferring the file to the root folder of the Kindle and then selecting update, we have Kindle 2.5.2 on the Kindle. Pretty easy, but obviously more work then waiting for the wireless update. 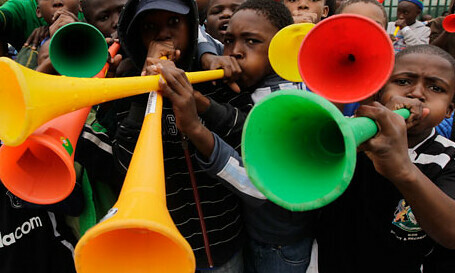 So lets say you also want to get rid of that Vuvuzela buzz, but still want to watch the World Cup games. Afterdawn has a very in-depth guide on how to do just that by filtering out four different sound frequencies using various programs. Sure it takes a little work, but it might be worth it for some peace of mind. And the process is perfectly suited for HTPC enthusiasts too. Remember the fanfare that surrounded the Boxee Box from D-Link? 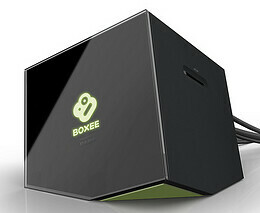 The Boxee Box is a highly anticipated “extender” of sorts for the freeware HTPC software Boxee and was originally slated to arrive around this time, but the Boxee Blog is now saying the device will arrive sometime November of this year. It’s obvious the hardware extender by D-Link is a key component of Boxee’s future and the competition in the extender/media-player world won’t be getting any easier either with the GoogleTV platform officially coming soon and possibly an update to AppleTV as well. Boxee needs the D-Link hardware to be a big hit – not always easy with a first-time hardware device. Boxee prides itself with being very internet-connected. It’s not really TV tuner-based at all which is quite unusual for a HTPC program. It’s fairly popular with the techy crowd right now, but to make Boxee push the envelope to the masses and make the investors happy they really need to access more eyeballs to continue working out content deals and therefore advertising that will bring in the revenue. We’ll be watching this holiday season to see what is delivered – just know this: The success or failure of Boxee quite possibly hinges on the popularity of the Boxee box at launch – especially with a holiday release. It’s not talked about all that much, but I think we just might see a quick sellout of the remote controls that are being produced with the Boxee Box. You’ll be able to purchase the remote control separately and the remote is something that just might appeal to non Boxee users – those using Windows Media Center, SageTV, Linux and other HTPC software programs. 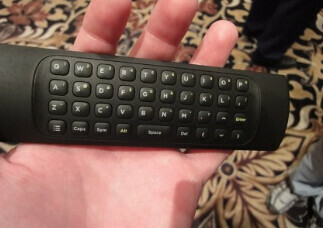 As Dave Zatz reported at CES, the remote control looks like a hit – regardless of how good the Boxee Box is. One of the more popular freeware, open-source HTPC programs has always been GB-PVR. The HTPC program offered a free alternative to HTPC enthusiasts. This weekend the developer of GB-PVR announced the long-awaited, next generation of his HTPC software – N-PVR. This is a big release with lots of changes. I've had to make changes to some stuff that was holding GB-PVR back, and along the way I've broken all the plugins and skins etc. 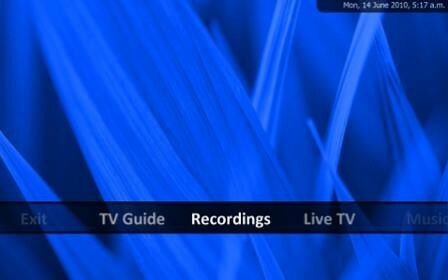 Sticking with my crappy naming ability, the new application is called N-PVR (short for 'next pvr'). This is a lot of change, and its still rough in places, so should be considered a public beta. Fortunately, its an entirely different application, and can be installed on the same machine as GB-PVR 1.4.7 for you give it a test drive. I also have to say a big thanks to the testers, who have suffered through this big change from its very feeble early builds, and given me a lot of help along the way. The new user interface is very similar to GB-PVR. More hybrid style application to better support both 10ft and 2ft user interface usage. PVR mode can be disabled for those who just want to watch tv and don't want all the menus etc. Still lots more to be done on this side of things, but the start of this is in place. Devices are automatically detected and capture sources created. Channel Scanning is different. Channels are created by default with no EPG, so that the app is ready to be used even by those new users who haven't invested the time to find an EPG source. 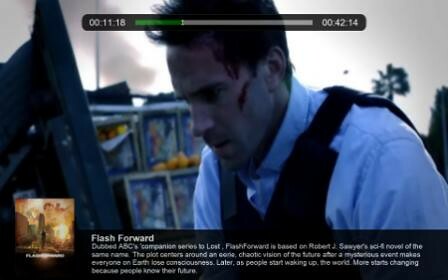 Better handling of digital channels, and multiple audio streams, multiple subtitle streams etc. Native multidec support, including multirecord-multidec;. No more need for mdapifilter.ax. You do still need ffdecsa.dll for the decryption algorithm though. Place your plugins in "C:\Users\Public\NPVR\MDPlugins\Trident DTV Tuner #1-1" (for example). Configuration for new capture sources can be copied from another capture source. More animations, and the ability to easily turn off animations. Time-shared channels like cbeebies in UK will now be picked up regardless of what time of day you scan for channels. Media libraries auto refresh file lists if changes are made to the currently directory (files added/delete etc). Ability to run without recording service for those that just want to watch tv, and don't want extra stuff running in the background. If recordings or live tv doesn’t work, there is now nice friendly error messages to tell you why. A few more messages still to be added though. The app is permanently in timeshift mode. No more live preview. Channel changes are much quicker than the old timeshift mode though, and no pauses between shows. Analog and Digital tv is now "all .ts, all the time". Sorry fans of third party mux filters. Multi-record is always used, for both recordings and live tv. Metadata and artwork are shown when playing files from Recordings or Video Library. Can import ready recordings from GB-PVR's recording-dump.xml file. Updated built in web app (NEWA). Supports analog tv via soft encoder devices. Basic support for North American Close Captions on digital TV.